Weston is the trusted provider for Zia Pueblo in civil engineering and drainage services for over 25 years. The Pueblo of Zia, a registered Native American Tribe located in north central New Mexico, is striving to improve the condition of public infrastructure on reservation lands for the benefit of tribal members. Faced with deteriorating roads, significant erosion damage, and the potential for flash flood impacts, the tribe has invested to rehabilitate and protect its infrastructure and developed areas. 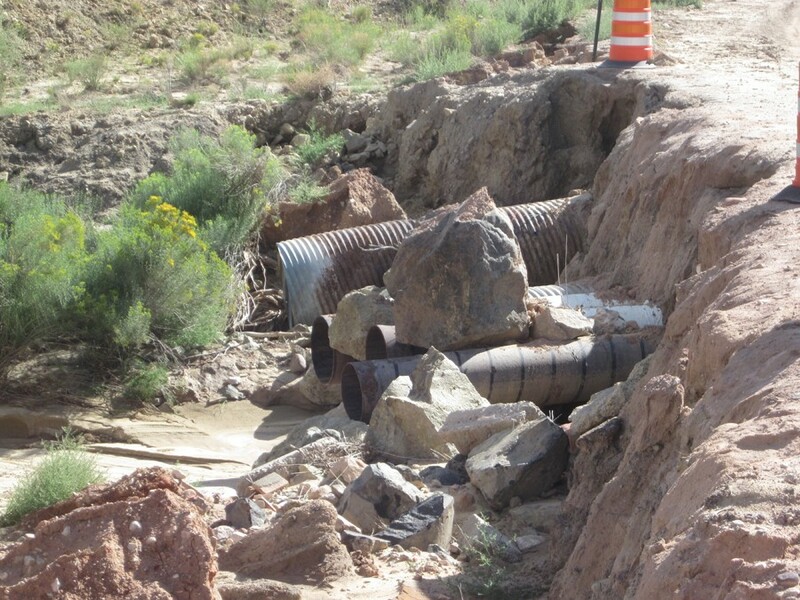 Weston is currently performing two drainage analysis and design projects for Zia Pueblo in New Mexico. Design projects have included aerial and ground surveys, geotechnical investigations, and the design of new storm drainage infrastructure for roadways across Zia Pueblo. Our team delineated drainage boundaries encompassing the entire village and all upstream watersheds, totaling 21 square miles. An extensive hydrologic analysis was performed to calculate 50-year event peak design flow rates throughout the watershed and for the design of drainage structures. Weston calculated the hydraulics of overland flow, earthen and lined channels, culverts, and storm drains as part of the analysis. We have provided a drainage report to Zia Pueblo illustrating our detailed understanding of the majority of drainage structures within the village and identifying capacity deficiencies. Our Albuquerque office has worked extensively on tribal trust land and coordinated with the Bureau of Indian Affairs, USACE, the EPA, New Mexico Environment Department, New Mexico Department of Transportation, and various county agencies with review authority on Pueblo lands.